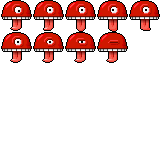 Here’s a pixel art alien created and animated with sprite something. 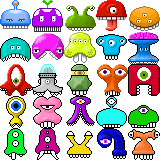 These Aliens were created as 32×32 pixel tiles with Spritesomething. Here’s a great app for drawing pixel art on your iPhone/iPod and iPad.